In order to better get to know the volunteer educators for Patuxent Babywearing, we will be featuring an interview with a different volunteer every week (or almost every week – sorry for the brief hiatus!). This week’s volunteer spotlight is Jessica Mullins Grimm! Jessica also owns Photography by Grimm. How did you discover babywearing? When my oldest was born I knew I wanted to keep him close. I came across the Moby brand and started with that. After that I moved to the Beco Butterfly 2 in the scooter print. I still own the carrier it’s one I plan to pass down to my kids. What is your favorite type of carrier (wraps/ ring slings/ SSCs/ MDs, etc.) and why? I am a SSC and ringsling girl all the way. What is your favorite carrier you have owned? I love my wrap conversion toddler SSC. It was converted but Nuzzle me creations. What is your favorite carrier from the lending library? How has babywearing benefited your life? My middle two are 17 months apart. And my middle was a late walking. Babywearing allowed me to take care of both of them at the same time and still tend to my oldest. When do you babywear most often (either during a particular activity, time of day, or place)? My Babywearing is as needed. Often it is when we are out and about but when someone needs a little one on one at home we always have a carrier on hand. You are having a baby and you can pick any carrier (but only one) to last from the newborn stage to the toddler days, what do you pick? I would get a ringsling. A ringsling works for all ages. But it also will allow anyone with any skill of Babywearing or age to enjoy Babywearing. Why did you decide to become a babywearing educator? I enjoy spreading the Babywearing love. When I started babywearing, it was a new concept around here. I was explaining it to everyone I passed. 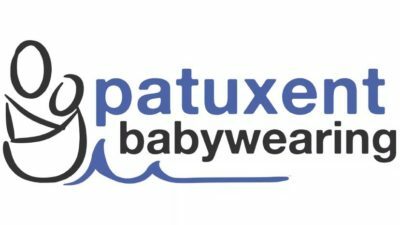 What do you love most about Patuxent Babywearing? That we are spreading love. Spreading love for our babies. Spreading love for comfort and closeness. Spreading love for bonding. Tell me something about yourself that has nothing to do with babywearing or children or your Mom status. I dream of living on a farm with hundreds of animals. What are your other hobbies/ interests/ passions? My children keep me very busy lol. I also love taking pictures of families and capturing those moments. Thanks to Jessica for sharing. If you want more information on how to become Patuxent Babywearing volunteer, please let us know!